A real place you could never imagine. Strange creatures you will never forget. Back in 2005, the animated hit Madagascar made millions of kids aware of the island located in the Indian Ocean off of Africa. For a more educational approach to that location’s inhabitants, we check out a 2014 IMAX documentary called Island of Lemurs: Madagascar. Narrated by Morgan Freeman, Island tells us that lemurs lived back during the time of the dinosaurs and survived as a species when they migrated from Africa to Madagascar. We learn of their evolution over the years and follow the efforts of primatologist Dr. Patricia Wright as she studies them. Along the way, we get a whole lot of facts about the lemur species and their existence. Perhaps to connect to the success of the Madagascar movies, Island clearly comes with a kid-oriented tone. I don’t mind that in theory, but I think the movie goes a bit too far in terms of the way it simplifies material for the younger audience. Not that this means Island gets silly or immature. For instance, it lacks the goofy comedy of 2012’s Chimpanzee, and I appreciate the absence of silliness that exists just to offer theoretical appeal to kids. Still, I feel Island could be a bit less… simple, I guess, and it could come across as tighter and more involving. As I watched the movie, I always thought I should be more interested than I ever became. I suspect the modern-day standard for documentaries like this comes from 2005’s March of the Penguins, an emotional, dynamic piece. That program taught us a lot but also made us care about the subjects, which doesn’t really occur with Island. This doesn’t mean I don’t care about the lemurs, but any emotion Island musters tends to seem a bit academic. I feel bad for the lemurs’ plight and respect the work being done to save them, but the movie never creates any real investment in the mammals. We want them to thrive in a cultural sense more than because we bond with the onscreen characters. None of these attributes make Island of Lemurs a bad documentary; it simply seems like a mediocre one. It offers a moderately enjoyable and educational take on its subject, but I think it could’ve been more than that. 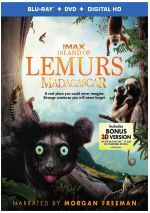 Island of Lemurs: Madagascar appears in an aspect ratio of approximately 1.78:1 on this Blu-ray Disc. I expected a strong visual presentation and that’s what I got. Sharpness looked great. Virtually no issues with softness materialized, as this remained a tight, well-defined image. The flick lacked shimmering or jaggies, and I saw no edge haloes or print flaws, either. A nature documentary deserved a natural palette, and Island provided colors of that sort. Given the settings, greens dominated, but other hues cropped up as well in this lively, vivid set of hues. Blacks were dark and dense, while shadows seemed smooth and concise. I felt quite pleased with the movie’s excellent picture quality. While not quite as strong, the DTS-HD MA 5.1 soundtrack of Island delivered good material. The soundscape mustered a fine sense of place, as the audio plopped us in the settings and habitats in a convincing, engulfing manner. These elements used all the channels in an immersive way, and the score also gave us good presence. Audio quality seemed solid. Music was lively and lush, while effects appeared accurate and dynamic. Speech appeared natural and distinctive. This was a consistently pleasing soundtrack that fit the material. The package includes both 2D and 3D versions of Island. The picture comments above reflect the 2D edition – what did I think the 3D presentation brought to the table? Not a whole lot, as it happens. The 3D Island does present more depth, and that can give the image some dimensionality. However, because so much of the movie displays dense vegetation, the 3D presentation can become a distraction. There’s just too much on the screen for the viewer to easily focus, so the 3D can turn into a nuisance at times. It’s usually a pretty nice viewpoint, but the drawbacks make it less than satisfactory on a consistent basis. The Blu-ray also provides a slew of short featurettes. We find Making of The Island of Lemurs (4:49), Behind the Scenes (2:20), The Story of Lemurs (5:43), Meet Patricia Wright (3:38), A Baby Indri (2:12), Five Things About Indri (2:15), The Cutest Lemur (1:42) and Go-Kart Racers (2:02). 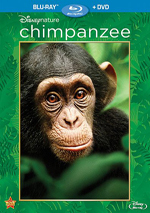 In these, we hear from primatologists Dr. Patricia Wright and Dr. Jonah Ratsimbazafy, director/cinematographer David Douglas, writer/producer Drew Fellman, narrator Morgan Freeman, and scientist Dr. Hantanirina Rasamimanana. The programs offer some basics about lemurs, those involved in the project, Madagscar, and elements of the film production. Intended mainly for promotion, the featurettes don’t tell us a ton, but they give us a smattering of decent details. The disc opens with an ad for The Flintstones and WWE: Stone-Age Smackdown. No trailer for Island shows up here. A second disc provides a DVD copy of Island. It includes three of the featurettes: “Making of”, “Behind the Scenes” and “Cutest”.